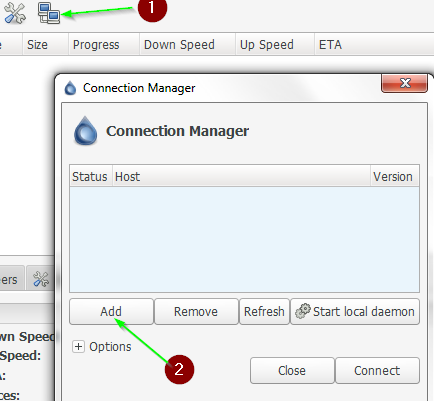 In order for Thin Client to work be sure that you install the same Deluge version on your home computer as the one on your box. If the box runs Deluge 1.2.3, you have to have 1.2.3 installed at your home machine. 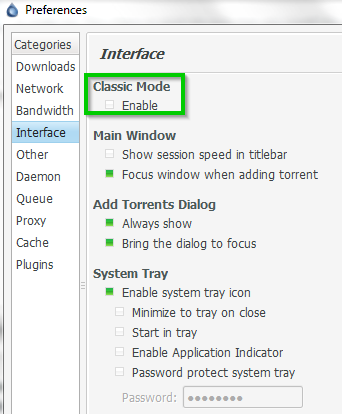 When you start Deluge make sure that it's not using Classic mode otherwise you will not be able to use connection via thin client. When you press Add ,fill out the blank spaces with the Deluge details from your box and as a Port you need to put your daemon port . 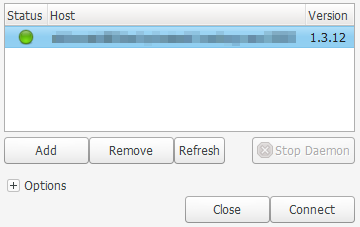 After you fill everything out press Add and if you done it correctly you should get a green dot under Status , Press Connect and you are ready to use Deluge via Thin Client. You can also watch the video Animazing made and follow his steps. Thin Client setup.